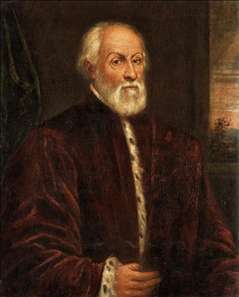 Italian painter, son of Jacopo Tintoretto. He was taught by his father and assisted him in his workshop. At the age of 17 he was admitted to the Venetian painters guild, and he is recorded in the confraternity of painters from 1594. He began his career by helping his father to execute the paintings in the Sala del Collegio and Sala del Senato in the Doge s Palace, Venice. 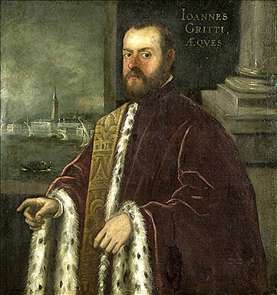 Following this he worked independently at the palace, on the Sala dello Scrutinio and the Sala del Maggiore Consiglio. His training with his father helped him in his own compositions, several of which, such as the Battle of Salvore, or the Second Conquest of Constantinople, are heroic battle themes with complex groupings and dramatic poses. In the last two decades of the 16th century Domenico concentrated on religious commissions in Venice, including a Last Supper and Crucifixion (both c. 1583) for S Andrea della Zirada (both in situ), a Marriage of the Virgin for S Giorgio Maggiore (in situ) and a Crucifixion for the Scuola dei Mercanti. During this early period as an independently commissioned painter he continued to collaborate with his father on occasions, notably on the Paradise (1588-90) in the Sala del Maggiore Consiglio in the Doge s Palace. 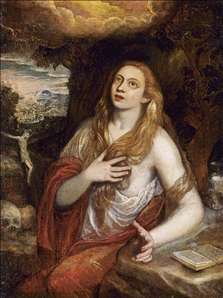 See more details about "Portrait of Joannes Gritti"
See more details about "Penitent Magdalene"